Das Kartenchaos: 4 tage frei! Morgen ist bei uns auf der Arbeit tatsächlicha uch Brückentag, damit genieße ich 4 freie Tage am Stück. Seit gestern bin ich im Besitz dieser wunderschönen Schmetterlings-Stanze (Marianne Design). Die musste natürlich sofort ausprobiert werden. Gelb und orange stehen bei mir ja gerade hoch im Kurs. Und die Farben Butterbar und Orange Soda von Hero Arts sind einfach wunderbar! Es wird doch Zeit für Sommer, oder? Noch eine neue Stanze ist diese Notitzblock Seite (ach Marianne Design). Die Farben der ColourQ haben es mir wirklich schwer gemacht, aber ich wollte sie unbedingt benutzen. Nach dieser Karte habe ich beschlossen, dass ich erst mal die Finger von Klecksen lasse - ich hab sie wirklich zu oft benutzt. Aber das Inspirationsfoto traf genau die Farben meiner Distress Stains! I LOVE this collection of cards. Thanks firstly for joining us at ATSM-the butterfly in Kraft looks fabulous against the bright blue colour-perfectly CAS! 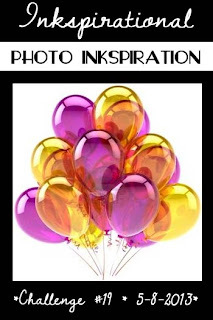 And then another thank you for joining us at Inkspirational, this card is outstanding, the splashes of colours behind the acetate are so close to the photo colours and love your funky take on this and then to have the black balloons placed on the acetate-just so inspired-I love it! Very beautiful cards! I really like how you hid the paint splatters behind the vinyl. So creative! Great use of the balloons. Thanks for joining us at Inkspirational! These are all great cards. 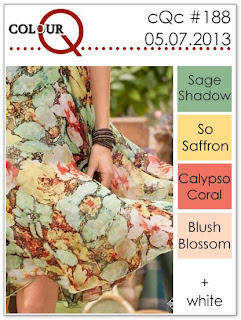 So glad you were able to join us this week at the ColourQ. 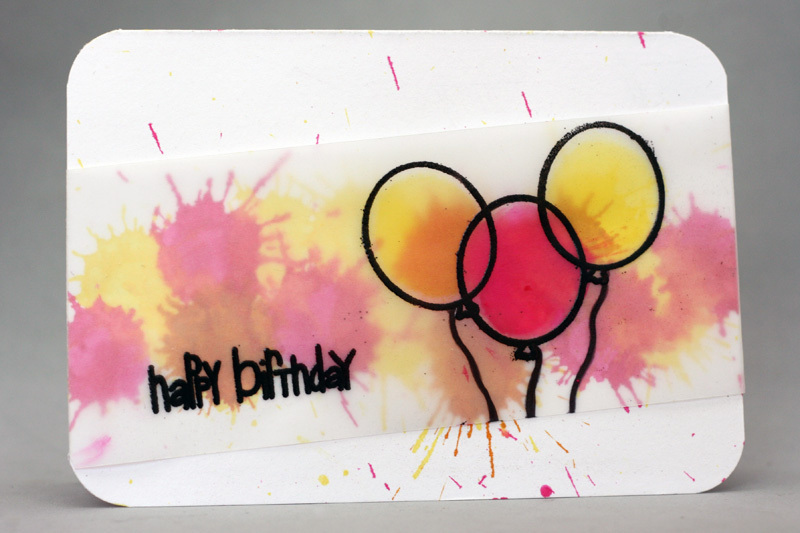 Oooh you've been busy and having fun creating some really wonderful cards! Love the butterfly die - so delicate and beautiful. Great use of washi tape too. Thanks so much for joining us this week at ATS&M. Wow! Fantastic collection of cards Christine. It is always a treat to visit your blog. Thank you for playing along with the ATS&M challenge. Have a great week. awesome cards! love your simple designs! 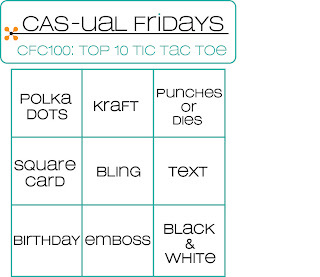 thanks for joining us at CAS-ual Fridays Challenge! Beautiful cards! I love the first one and those details on that butterfly is just amazing! Thanks for joining us at CAS-ual Fridays Challenge! 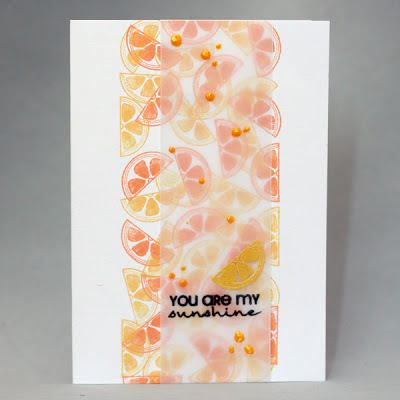 So many fabulous cards! 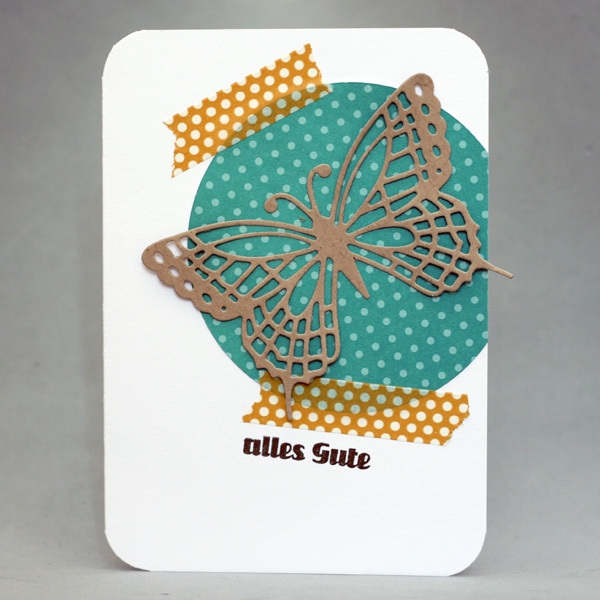 The butterfly on the first card is so bold and I love the colors and design you used. Thanks for joining us at CAS-ual Fridays! Fun cards, Christine! thanks for sharing with us at the colourQ. Wunderscheone Werk wie immer! Congrats on the shout out over CAS-ual Fridays! Ich hoffe, dass alles gute auch feur Dich!